With the Spring Graduate Jobs & Internships happening this Thursday 12th February (11am-3pm in Parkinson Court), we thought it worth re-blogging this post, full of tips about how to get the most out of a fair. To see which employers on attending the fair on Thursday, check out the event page on STARs (note that the link in the original post below takes you to the employer list for the Autumn Fair last October). 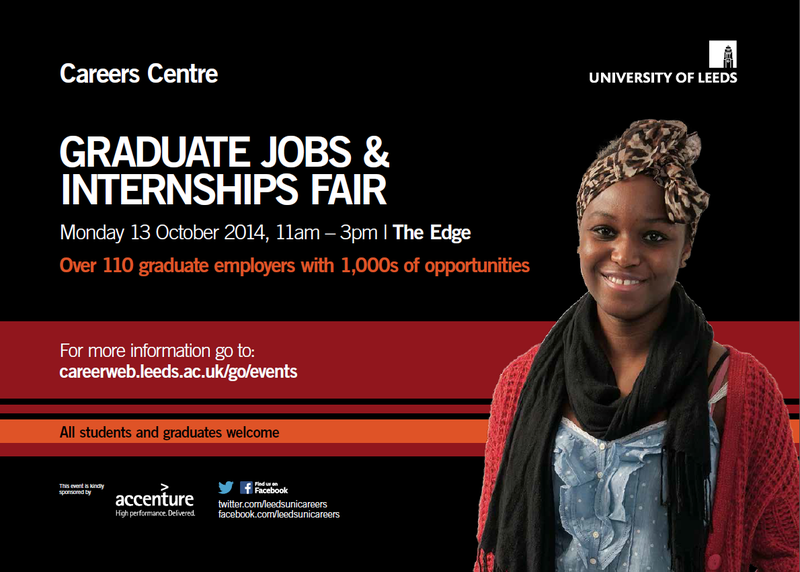 Are you thinking of coming to the Autumn Graduate Jobs & Internships Fair on Monday 13th October? It is a fantastic opportunity to meet representatives from over 100 organisations who are all interested in meeting students like you. Whether you are still undecided, or if you are definitely coming, this post outlines how it can help you as well as how you can make the most of it. Everyone! Whether you are in your first, middle, or final year and whether you are looking for a first-year insight opportunity, placement, internship or graduate job, there will be organisations there with opportunities for you.